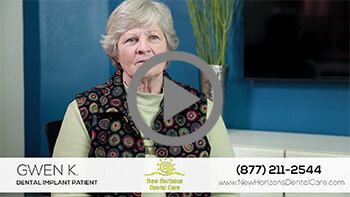 Dental implants have a number of benefits not offered by other dental restorations. They often last the rest of the patient’s lifetime, and can help prevent further damage to the bone and tissue surrounding the implantation site. The high success rate of dental implants makes them the gold standard for tooth replacement. However, the slightly higher price tag of implants can make some people think that they cannot afford implants, and the lack of bone available to support implants in patients with existing tooth loss can require extensive prep work to be done before a successful implant can be placed.